For the third time in eight years I am going participate in RAGBRAI, a week-long bicycle ride across Iowa during the last week of July. As I did in past years, I'd like to raise as much money as possible for Stand Up to Cancer... a great organiation where 100% of your donation goes towards research. There are too many people in all of our lives that are affected by cancer, and it is my hope that SU2C's research can mark the beginning of the end of this horrible disease. The minimum amount you can donate is $5 and I'd be grateful for that...every dollar helps! My goal is to raise $10 for every mile I ride in RAGBRAI, which would equate a total of $4,280. 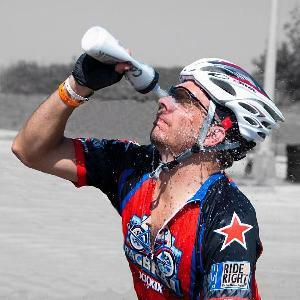 The amount raised from before my 2011 ride through the end of my ride in 2013 is $15,962. If my new goal is reached, this would mean the total overall Pedal Another Mile fundraising efforts would exceed $20,000.